The “greed and self-interest” of a small lobby of employers who exercise undue influence with the government have successfully blocked wage increases for workers for years, Father Kevin Barr told the Fiji Labour Party convention on Saturday. 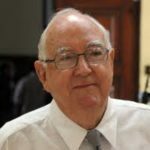 Speaking on Social Justice and Equity, Father Barr who was appointed independent Chair of 10 Wages Councils in 2008 but resigned in frustration in 2012, said during his 4-year tenure three different proposals for wage increases for the sector, were knocked back by the Bainimarama regime under pressure from a “small group of influential employers”. “In other words every wage proposal made by the Wages Councils had been opposed by a small group of influential employers. What is worse government allowed this greedy and selfish group of employers to get their own way and crush the hopes and dreams of the workers of the country for modest wage increases to assist them cope with the rapidly increasing cost of living,” he said. Father Barr said when he took over in 2008, the workers had received no increases for three years. 1st proposed increases were to come into effect on 1st February 2009. But “without any consultation, it was announced that, under pressure from a strong lobby of employers, the Wage Regulation Orders would be deferred to 1st July 2009. 2nd proposed increases were to come into effect 1July 2010. But was deferred for 10 months until 1st May 2011 and then reduced by 5%. The deferment and reductions were done without any consultation with the Wages Councils. “The work of the Wages council was being interfered with by some outspoken employers with government,” he said. No meetings of the Wages Council were held in 2011, he said, because of the stubborn determination of the Permanent Secretary to have a formula which was unacceptable to all parties based on misinterpreted “productivity”. 3rd proposed increases were in early 2012 when the Wages Councils next met. These were to come into effect on 15 August 2012. But again without any consultation, it was announced through the media that the wage increases had been deferred to 31st Meanwhile, the Wages Councils would be asked to reconsider the increase because of objections from some employers (who were already members of the Wages Councils). Father Barr resigned from Chair of the Council a few days later (18 August 2012) in protest, he said, at the suffering of the workers who were receiving very low wages. And because government was allowing employers to “dominate the 10 Wages Regulation Orders without taking into consideration the plight of the workers. He told the FLP convention on Saturday that there was a lot of lip service from government on concern for all citizens including the poor and the marginalized, yet it had proved to be “pro-investor and anti-worker”. The 20% devaluation of the dollar (April 2009) forced food prices up 38% and building materials 29% but wages remained the same. He said the increase in the national minimum wage to $2.68c an hour this year, was “totally inadequate in terms of justice”. Father Barr said those who spoke out in protest against such treatment of workers were making a stand against the “injustices perpetrated on our workers.